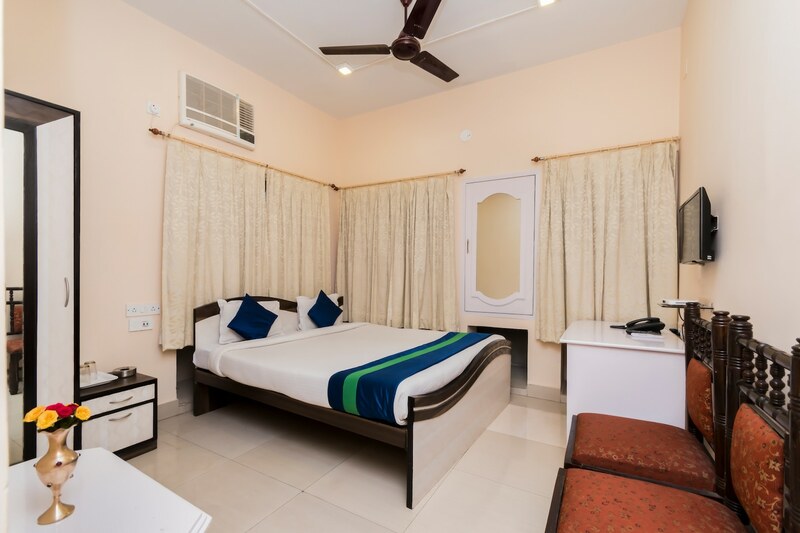 This property located in the Salt Lake City of Kolkata is one of the popular names among travelers visiting Calcutta and looking for comfortable accommodation facilities that can be booked without feeling a pinch in the pocket. The rooms have been decorated in a minimalist manner and have been provided with large windows. The rooms are painted in monochromatic hues that uplift the mood of the guests. The rooms are very spacious and have a homely atmosphere. The comfy wooden chairs are a great addition to the rooms. The additional features provided by the hotel are free Wi-Fi, an uninterrupted power backup source, a common seating area, a room heater in each room, an elevator facility, a banquet hall, a bar, a common dining area, a conference room, and card payment in all forms. The front desk service is manned by experienced staff and is surrounded by a well-furnished reception. The hotel is surrounded by a number of utilities such as City Centre Bus Stop, CMDA Office Bus Stop, Oudh 1590, Since 2016, Mega Mart, and Mani Square.